Visit our Annual Directory page to download the latest information on this year’s opportunity to reach OSNA’s 600 school nutrition professionals! Are you looking for equipment to promote your school breakfast program or update your cafeteria? Fuel Up to Play 60, the in-school wellness program, has grant funding available to help support your Child Nutrition Programs. These grants, up to $4,000/school, are to support academic success through school-wide healthy eating and physical activity initiatives. Online applications are now open and close June 14, 2017: Visit the Fuel Up to Play 60 website for application and details. For questions or assistance with the grant, please contact Erin Hirte. 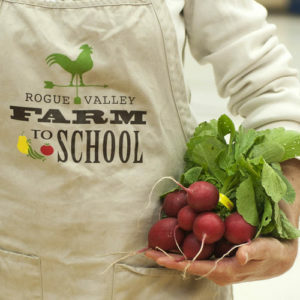 Rogue Valley Farm to School is seeking a skillful professional to lead the nonprofit organization under the strategic direction of the Board of Directors. The Executive Director will be responsible for daily operations, finances, fundraising strategies, programs, and personnel. The Executive Director will ensure the execution of RVF2S’s mission, maintain and build strategic relationships, and represent the organization to the community. This is an incredible opportunity for someone who is passionate about quality nutrition education programs for children and the community, and sustainable agriculture. OSNA’s Industry Committee has announced the 2017 dates for the Annual Industry Seminar & USDA Foods Show. The popular one-day event will be held on Friday, Oct. 13, 2017 at Camp Withycombe in Clackamas. The registration fee is $75.00, which entitles delegates to the full slate of educational presentations, a keynote by Patrick Henry, the USDA Foods exhibits, and a light lunch. 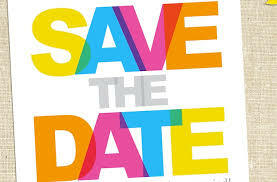 Stay tuned for the full program agenda, registration details and theme! Central School District has an opening for Food Services Manager. The successful candidate will actively manage the district’s Food Service operation with the goals of long-term sustainability and ensure that the district is in full compliance with all legal obligations relating to the safe preparation and handling of nutritious food. Applications are due Friday, May 12. Visit the Central Employment page for a full description and online application.